A robust Pinterest-like grid section that elegantly displays posts or pages. Includes sorting and lightboxing as well as different title styles. 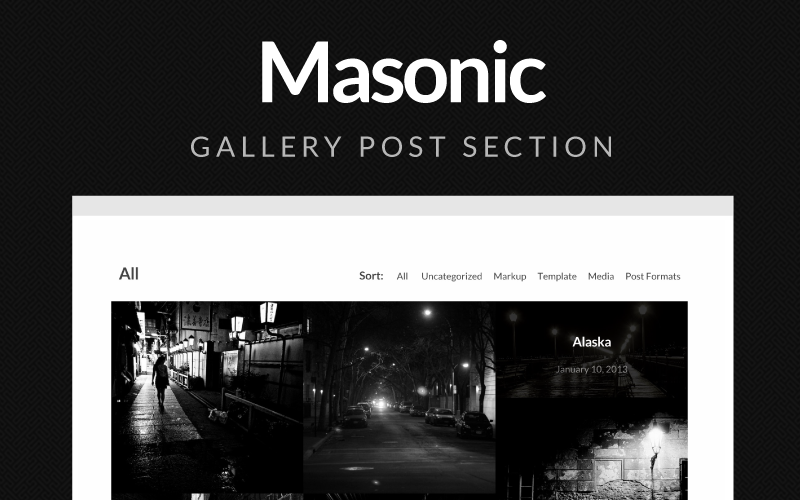 Masonic takes posts from any post or custom post type in your install. It then lists them with filters that allow your visitors to select views based on that category. Choose posts from specific categories based on options. It also supports multiple responsive modes. Building great products with simplicity and minimalism.